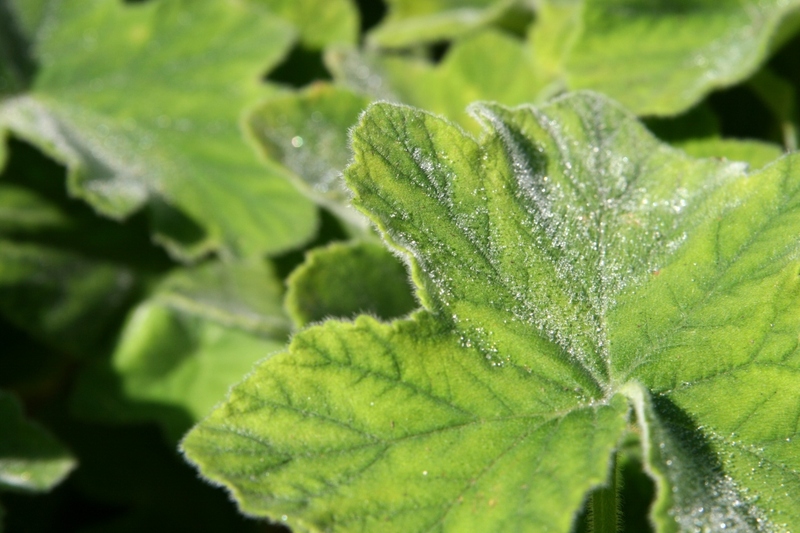 Peppermint-scented geranium (Pelargonium tomentosum): growing, planting, caring. 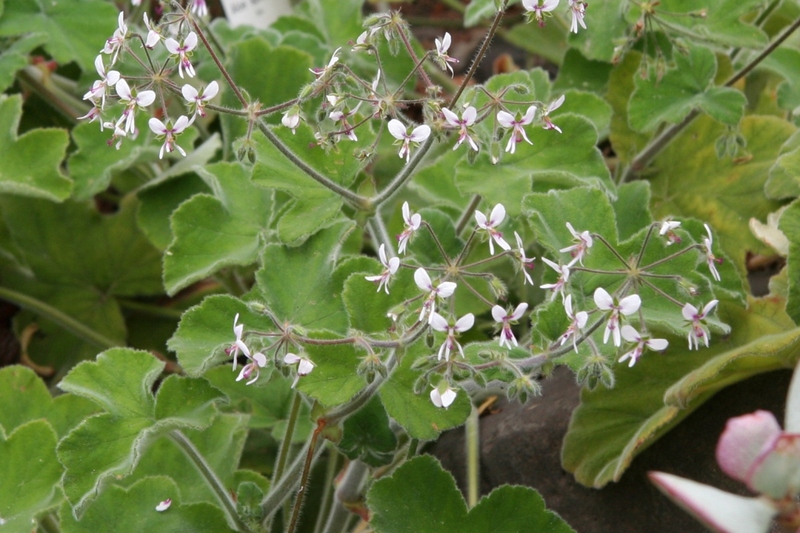 Pelargonium tomentosum - the peppermint-scented geranium - is a tall, spreading species native to South Africa with small white flowers and green-grey, three lobe shaped leaves. There are an only a few cultivars and hybrids of Pelargonium tomentosum., including 'Chocolate Peppermint' - A hybrid between P. tomentosum and Pelargonium 'Giant Oak' with brown blotches in the centre of the leaves, Pelargonium 'Islington Peppermint’, a hybrid between P. tomentosum and Pelargonium 'Splendide' with fresh mint scented leaves and white and brown flowers.